No one in this world will wish to cry but the situations make them sad and you must be the one to spread happiness in their life so that they handle the situation in a fearless manner. Being happy is not a task which has to performed but it is the only reason to survive which makes the environment and surroundings refreshed and healthy. If you want everyone around you to be happy, make sure it comes from inside you that make the best environment. The ability to love others, to make others laugh comes if you are happy from inside. You cannot find happiness in the market or in any other areas as it is hidden inside every person. If you are sad, then people around you will also be sad and may lead to disturbance in the environment. So, try not to spoil the mood of others by using bad languages rather speak to them politely. It will keep a good communication with others. The ability to love others is found in few. All you have to do is spread love amongst people and let them do the same, so that there will be no hatred in the history of mankind. In life, success and failure is common but happiness can bring life to your sad face. Once a person started a company and invested all his father’s saving in the company. But the company had to shut down due to a big loss and he started blaming himself and went under depression. That was the moment when he must have understood that the only reason to survive was finding the hidden happiness of life. However, at that time all he thought, he lost his career and wasted his father’s money unwillingly, but had no other option, which led him to depression. Then he got addicted to drugs and alcohol. One day his father came to him and said that he was happy that the company was closed but he was shocked by his father’s opinion. Later his father explained to him that we learn from life only when we make mistakes and fall from a very big height. Being happy is not easy but is definitely most required thing whenever life throws stones at you. If at all you don’t fall, then you will not value the lesson of life teaches you at various stages of life. Failing is common but the person who understands it early will be the one to rise high and for that happiness inside you matters a lot. So in any difficult situation, you should stay happy, as life is not an easy journey but while having the ability to love others, to spread happiness you can make it a fun journey. In life, you are the only reason to make others as well as yourself happy and feel proud of it. It is not an easy task but yes it the only reason to survive in this overly complicated world. So once you start with it, there is nothing in this world, which can stop you from being happy as well as spreading happiness. 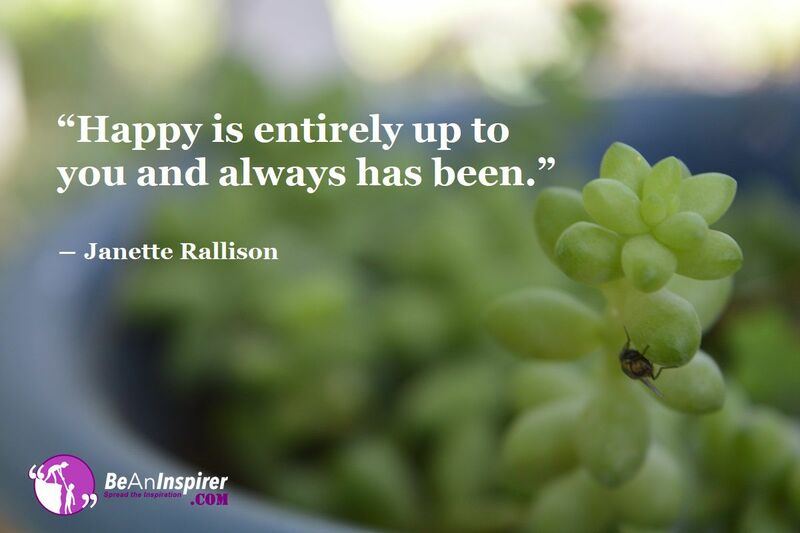 Is always being happy your life agenda or mantra? Well if it is, you would be the most satisfied person on the Earth. If not, we are here to inspire you with. Do let us know what you guys think about the article by leaving comments down below!